This time we look at the second anthology from Tokyo Collective, called Monogatari. 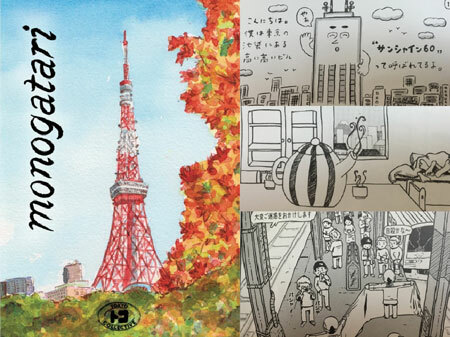 The title is Japanese for “story” and is made up of words meaning “thing” and “talk about,” and the stories in this book do indeed talk about things — things that are found in Tokyo. We discuss our favorites, and others that we found less compelling. Also: Are America’s Big Two comics companies headed for a cliff? We look at recent articles by Matt McGloin on Marvel and DC‘s business woes, and consider what it might mean if the Big Two went under. No user commented in " Critiquing Comics #152: “Monogatari” "